I know of someone who hired a bouncy castle for their fortieth birthday party. I was a bit jealous. Haven’t you ever wanted to push the kids aside and have a go yourself? 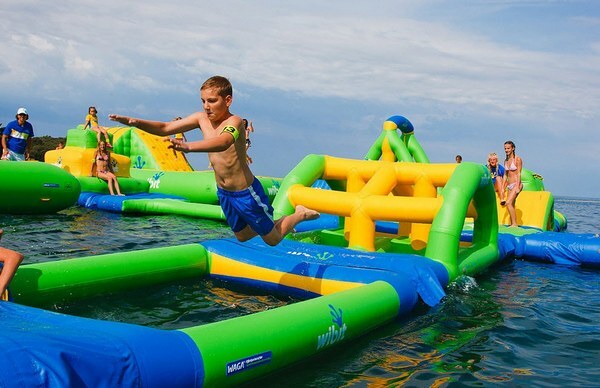 Hold an epic party by blowing up the Adrenaline Rush Extreme by Ninja Jump. Don’t let the US$12,995 price tag put you off because this is serious bouncy-castle fun. 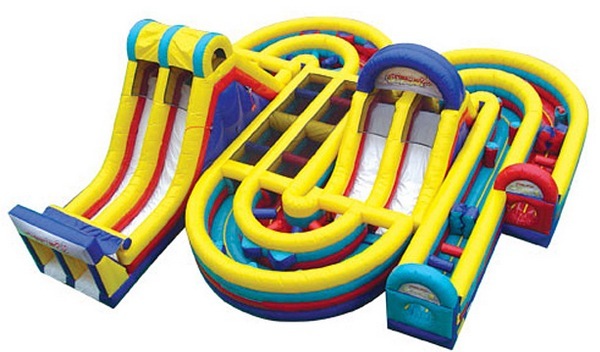 Described as an inflatable obstacle course, there’s dual lanes, rock climbs, slides, tunnels and more to navigate. The course finishes with a mammoth rock climb and speeding slide. 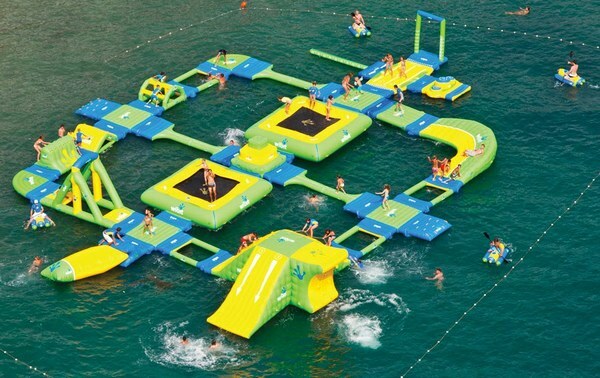 Alternatively, take the inflatable fun to the water. 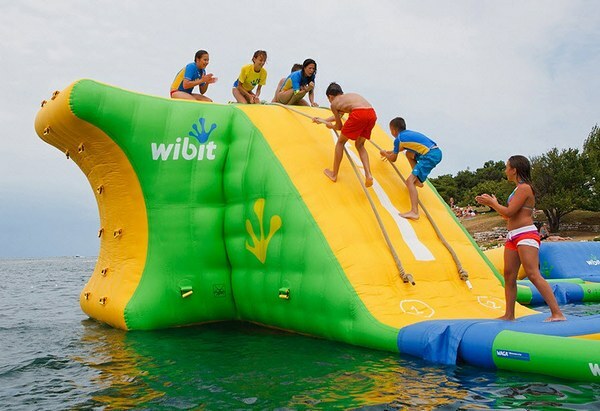 Designed by Wibit, the Sports Park 60, is a massive ‘portable’ water fun park that includes swings, balance beams, towers, ‘cliffs’, scramble walls, slides and inflatable trampolines. 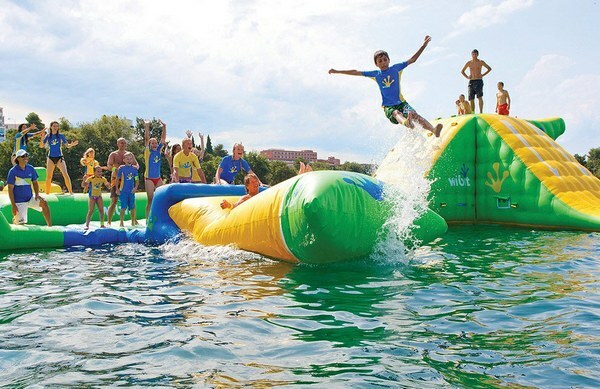 My favourite is the water Katapult which launches you into the air (see the picture at the very bottom of a kid mid-flight). 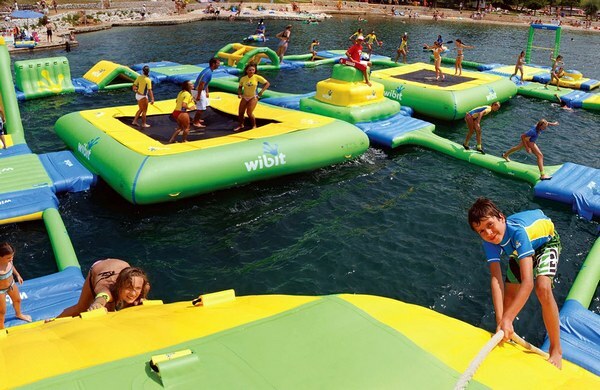 For any adult who’s watched an episode of ‘It’s a Knockout!‘, you’ll find the Wibit Sports Park 60 calling your name! The price of the Sports Park 60 is yet be confirmed.